A superior standard of aged care awaits at Central Park, a luxuriously appointed aged care home centrally located in Windsor. From the beautifully landscaped gardens up to the stunning views from the top floor, this is a contemporary home of absolute comfort and convenience. 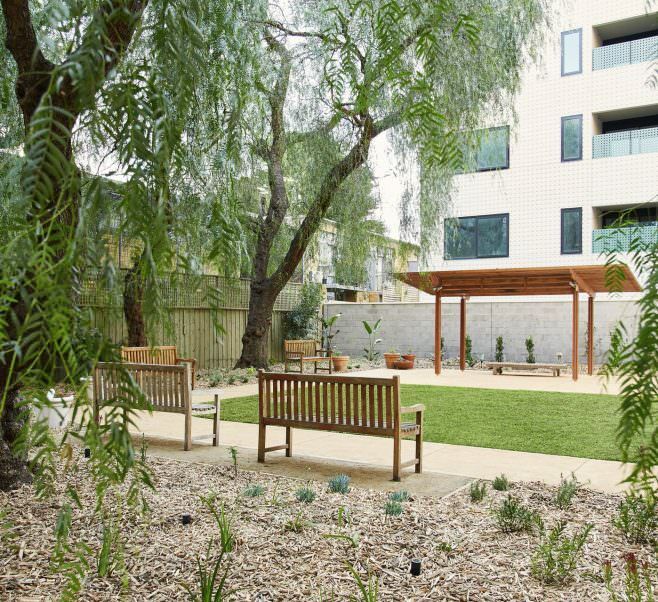 For residents, a range of private or shared rooms is available, all with ensuites, while our partnership with Alfred Health provides patients with an opportunity to receive support at Central Park during recovery. With impeccably styled communal spaces including a licensed bistro and private dining room, as well as public transport options at your door, everything has been considered so you can enjoy the full quality of life which Japara can offer. Located between the city’s arts precinct and vibrant St Kilda, Central Park is ideally located to enjoy easy access to parks, cafés, the beach and the CBD. At Japara, we welcome your visitors at any time, with a private car park available for their convenience. Japara Central Park also offers Day Respite Care, find out more. Private accommodation with shared bathrooms. Private accommodation with private ensuite. Private accommodation with private ensuite situated in a premium location close to centralised amenities. Large single accommodation with private ensuite. Private accommodation with private ensuite. Rooms feature beautiful city or garden views. Rooms also have city vistas. private ensuite and city vistas. Rooms with kitchenettes also available. What are these fees and charges? RAD stands for Refundable Accommodation Deposit. It is a lump sum payment to the aged care provider. The full RAD amount is refunded upon departure of the facility and is 100% guaranteed by the government. DAP stands for Daily Accommodation Payment. As an alternative to paying your Accommodation Payment as a lump sum, you can pay periodic payments, which are based on a daily fee and billed monthly. The DAP is not refundable when you leave the aged care home. The DAP amount is based on the Maximum Permissible Interest Rate (MPIR), which is set by the government, and the agreed price of the room/suite you are interested in. Daily Accommodation Payments (DAP) are calculated based on the government set Maximum Permissible Interest Rate (MPIR). As at 20 March 2019, the MPIR is 5.96%. To calculate the equivalent DAP, multiply the Refundable Accommodation Deposit by the MPIR and divide by 365 for the daily rate. For a combination RAD/DAP payment, multiply the remainder of the RAD by the MPIR and divide by 365. For example, the DAP on 50% of a $350,000 RAD is determined by: [(50% x $350,000) x MPIR]/365 = ($175,000 X 5.96%)/ 365 = $28.58 per day. The above accommodation charges do not apply to concessional/fully supported residents. Other government charges, such as the Means Tested Care Fee, may apply. Please speak with the Manager for further information. How much can you pay outright? Based on the asking RAD of $380,000 and an optional part payment deposit of $0, the DAP is $62.05. This DAP calculation is to be used as a guide only. 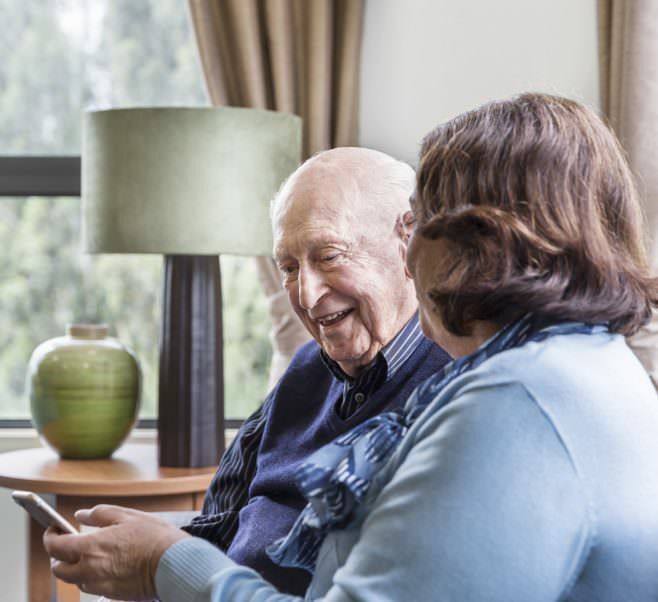 Read more about fees and charges or visit the Australian Government’s Ageing and Aged Care website to learn about fees, charges and payments. Have you volunteered at any of Japara's homes previously?